The Imperial War Museum opened its first 'permanent' exhibition at Crystal Palace on 9 June 1920, after three years of temporary exhibitions and scattered storage. Sir Alfred Mond, Chairman of the Museum Committee and the driving force behind the museum's creation, was clear in his opening day speech that the museum was not 'conceived as a monument of military glory' but was rather a place for study and a record of the 'toil and sacrifice' of the people of Britain and the Empire. Charles ffoulkes, Curator and Secretary of the Imperial War Museum from 1917 to 1933, was responsible for establishing the collections and overseeing the displays. 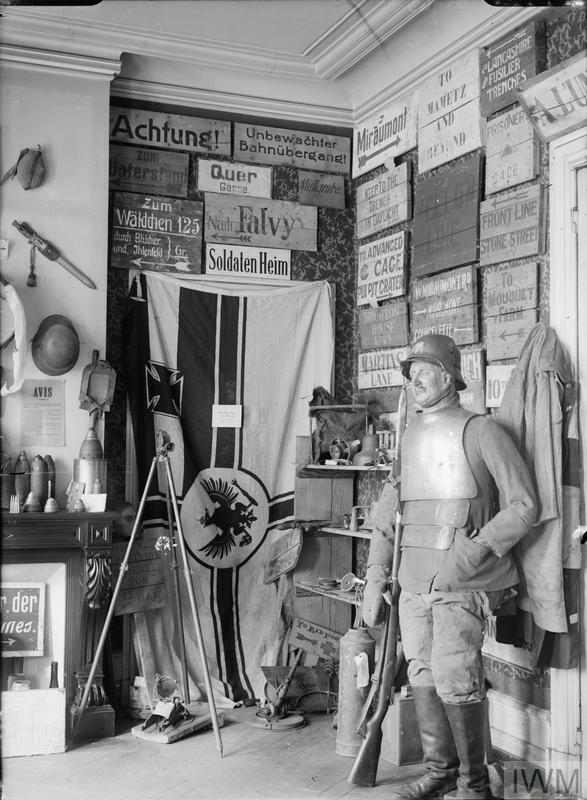 He took great care to ensure the displays were as comprehensive as possible, with exhibits grouped by service, subject and type. The Imperial War Museum Act was passed in July 1920, making the museum truly official - with a Board of Trustees and the right to hire staff, own property and acquire objects for its collections recognised in law. Despite the distance from central London, by 1924 four million visitors had come to the galleries. However, the Palace's glass structure made conditions too variable to keep the art and many other collections items safely. As the lease neared its expiry date in March 1924, it became clear that the museum would have to find a new location and dramatically downsize. The new venue offered was the Western Galleries of the Imperial Institute in South Kensington, a space less than a quarter the size of Crystal Palace. A large proportion of the museum’s exhibits were disposed of and its entire aircraft collection was loaned to the Science Museum. 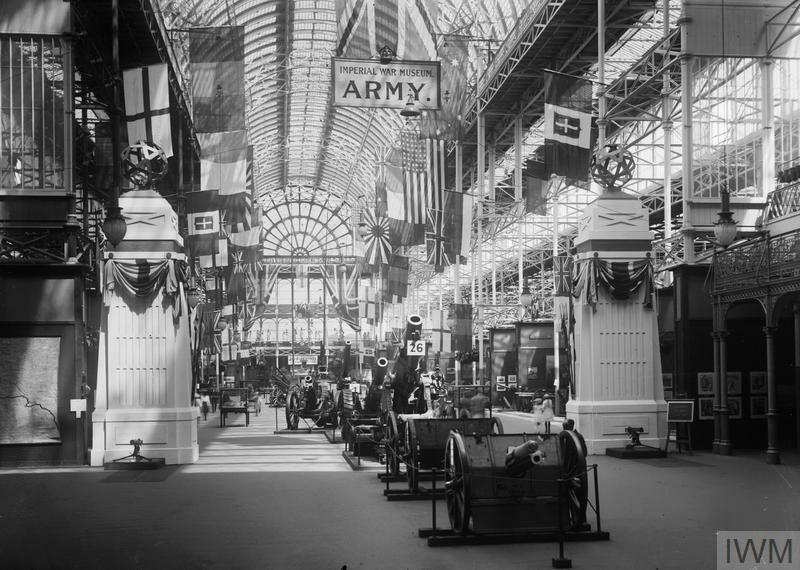 The new galleries opened on Armistice Day 1924. 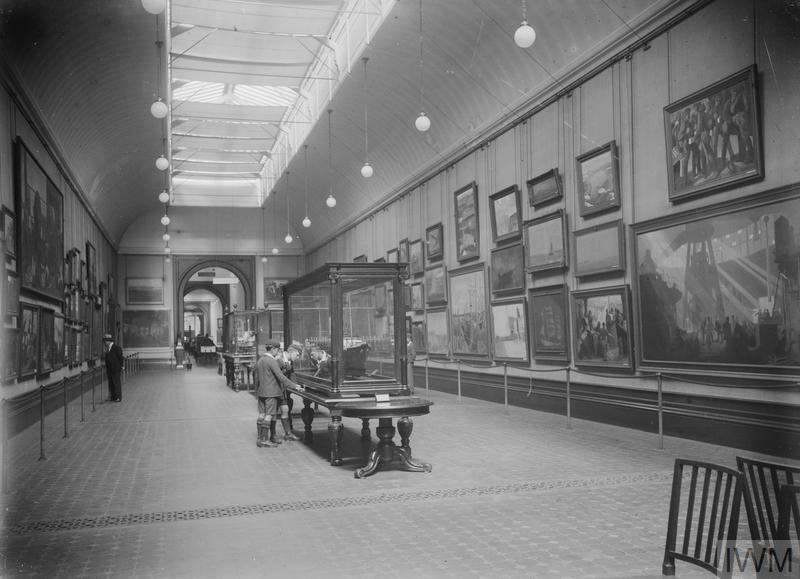 The museum remained in South Kensington for 11 years until its closure on Armistice Day 1935. It reopened at its current home on Lambeth Road in 1936. View of the Imperial War Museum's Art Gallery at South Kensington, London, August 1929. The IWM North building is hard to miss – the aluminium-clad building with jutting angles has become an iconic part of the Manchester skyline since it was built in 2002. But have you ever wondered why you seem to get lost when you're inside, or perhaps feel a little unsettled? There's a lot more to IWM North than its striking looks – the whole building was designed to enhance the stories within and give visitors a multisensory experience of war.